Who doesn’t love a cowboy, right? 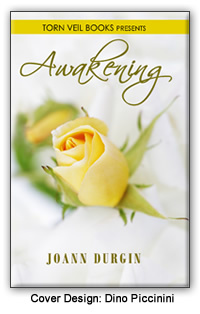 Well, there’s a mighty nice one to meet in JoAnn Durgin’s novel, Awakening. Between the messed-up souls of Lexa Clarke and Sam Lewis, there are a whole lot of sparks too. The good kind and the bad. One minute they’re arguing, the next they’re ‘almost’ kissing. It’s the lively banter of two people trying their best not to fall in love. Lexa Clarke is a big city girl trying to make a difference in her life, by making a difference in the world. Sam Lewis is your modern-cowboy, with a fragile heart and a will of iron. Lexa’s trying her best to run from her past and find her place in the present. Sam is the summer mission group leader for TeamWork Ministries, and is trying his best not to run right into Lexa’s arms. In the meantime, he has to save her from wild animals, rebellious teens, near-death experiences, and sometimes her own defiance. Will Lexa find more than what’s she’s looking for? Though challenged with a painful past and unused to the hardwork involved in missionwork, will Lexa find healing for her broken heart? Warning – The ending will leave you longing for more. What will happen to Lewis and Clarke? Is there new-found romance strong enough to stand the test of time? Thanks for the sweet adventure, JoAnn. Next week get ready for a Week of Review with Siri Mitchell. 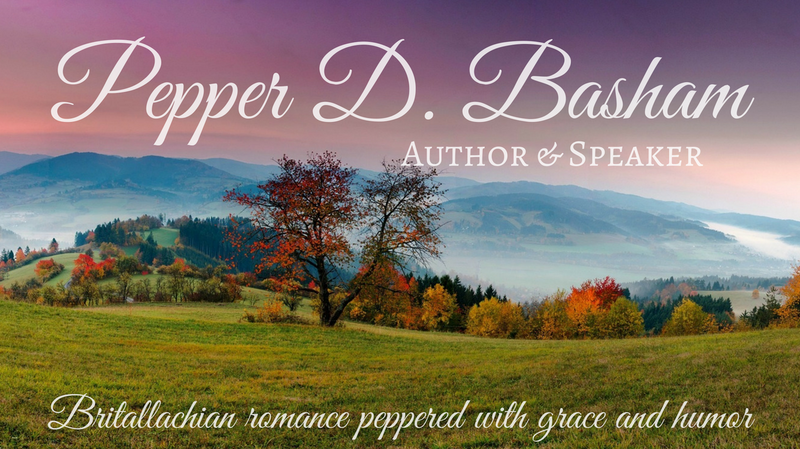 Stop by to learn about her historical and contemporary books. It’s a wonderful overview of a talented author’s versatility and inspiration. Thanks so much for reading and posting about Awakening, Pepper. The only thing I can add (and it’s not really giving anything away, is that yes, Sam and Lexa withstand the test of time). Without a doubt. They are the core characters in my series and are called upon to help the various members, and their dear friends, in the TeamWork Missions organization. Each book presents at least one new romance, if not more, and Sam and Lexa become mentors for helping each couple in their own unique “mission” of sorts. Thanks again, and I look forward to the coming week on your blog with the absolutely fabulous Siri Mitchell! Blessings. Congrats on the publication of your novel, Awakening. I think the thing I liked best was that we see the growth of the relationship over time. Not just one final kiss at the end, but a friendship growing into something more. Great interview! I loved this book and am looking forward to reading JoAnn’s next book, Second Time Around. Thanks to my good (and very complimentary!) friends, Elaine and Edwina, for stopping by, and for your very gracious words about Awakening! Pepper, I didn’t feel you made me wait long, and trust me when I say I understand you’ve been busy. And then some. With a family, work and writing, I can’t imagine (a) how you manage to do it all; and (b) how excited you must be to be a double finalist… I’m rooting for you in September! Thanks again for reading my book and blogging about it. I sincerely appreciate your help in promoting it. Blessings all! Still catching up on messages – nice interview, ladies! Good to see you all over the web, JoAnn. Am I, Lisa? I thought I’d been rather quiet of late. LOL… Thanks for stopping by, as always! Congrats again on your Grace Award. Blessings all.